LPL Financial Materials | RB Smith Co., Inc.
Securities and fee-based accounts offered through LPL Financial, a registered investment advisor, Member FINRA & SIPC. Financial Planning offered through R.B. 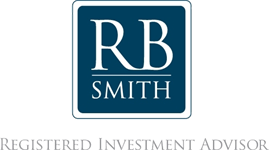 Smith Inc, a registered investment advisor and separate entity from LPL Financial.